I am an author, veteran children’s reading specialist, teacher and book reviewer. I have taught in many states and now living on Grand Cayman providing reading services for students. I have one short memoir out, Losing Ground and two newly released Young Adult Paranormal novels from LadyBee Publishing. My favorite genre is Paranormal, Historical Fiction, Fantasy, Myster, Romance and and middle grade to young adult fiction. 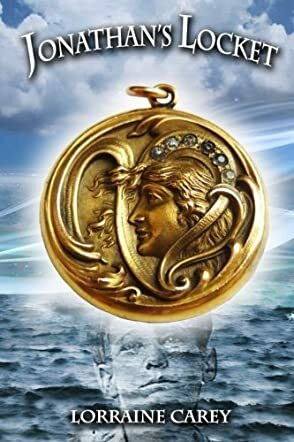 The sense of adventure is as strong as the salty sea air in Johnathan's Locket by Lorraine Carey. Orphan Jonathan Palmer has waited 15 years for this day. Today, he will sneak out of the Anglican school for boys that has been his home for as long as he can remember, steal away in the night and set off to find his British mother and the truth about his past. All he has left of his mother is a locket that he has been told was hers, containing a single lock of blonde hair. He stows away on one of Britain's Flagships with the help of his friend Peter, hoping to get passage to England so that he might begin his search. The journey is soon plagued by bad omens, including black cats and the old sailor saying of "Red Sky in the Morning, Sailors Take Warning." Lorraine Carey does a wonderful job of showing you what's happening, rather than just telling. You actually see the blazing sunrise and feel the cool drops of water rising from the sea. The cover was bold, beautiful, and eye-catching. The cover art is a huge deciding factor in many books from children to middle grade to Young Adult range, and this cover is an excellent choice. It's alluring in just the right way and I'm sure kids will want to know more. While the story was short and sweet, it sure didn't lack in the entertainment factor. Nothing quite beats the action and adventure of a dangerous sea voyage and the mysterious quest of a wayward orphan. A wonderful book that I'm sure the younger young adults will eat right up!